Trieste from the Crown Lynn Modello series. 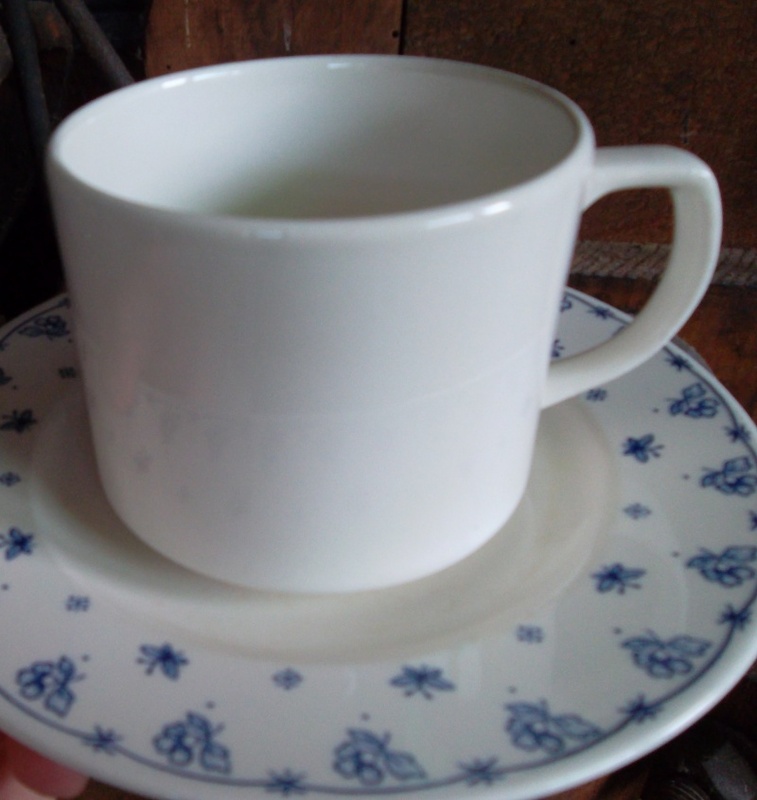 I found a saucer in this pattern, badly stained though, as it has been used as a plant holder. I have a plain white cup, but its not matching Treiste. 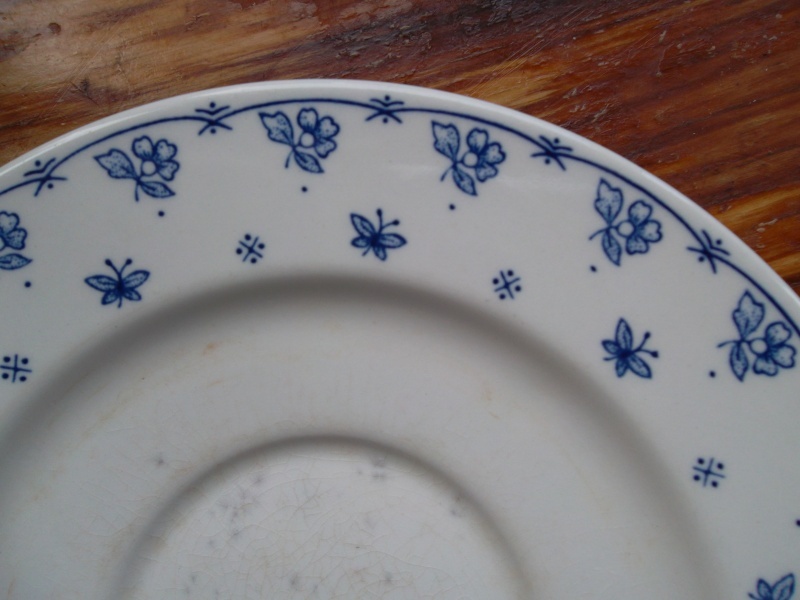 Zooming in on the image above,you can see that the cup has the blue flowers and butterfies. 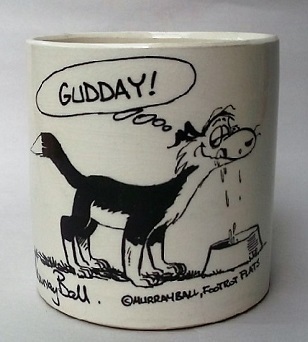 And white dinky cups ..... and Thank You! 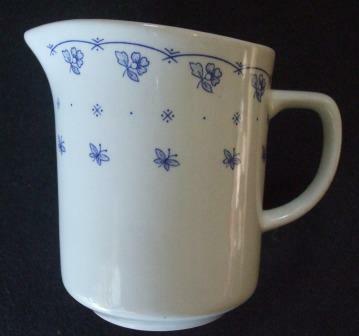 10cmh Jug with tiny blue butterflies.. The handle tells that this is Trieste. Yes - It is Trieste - nice ! 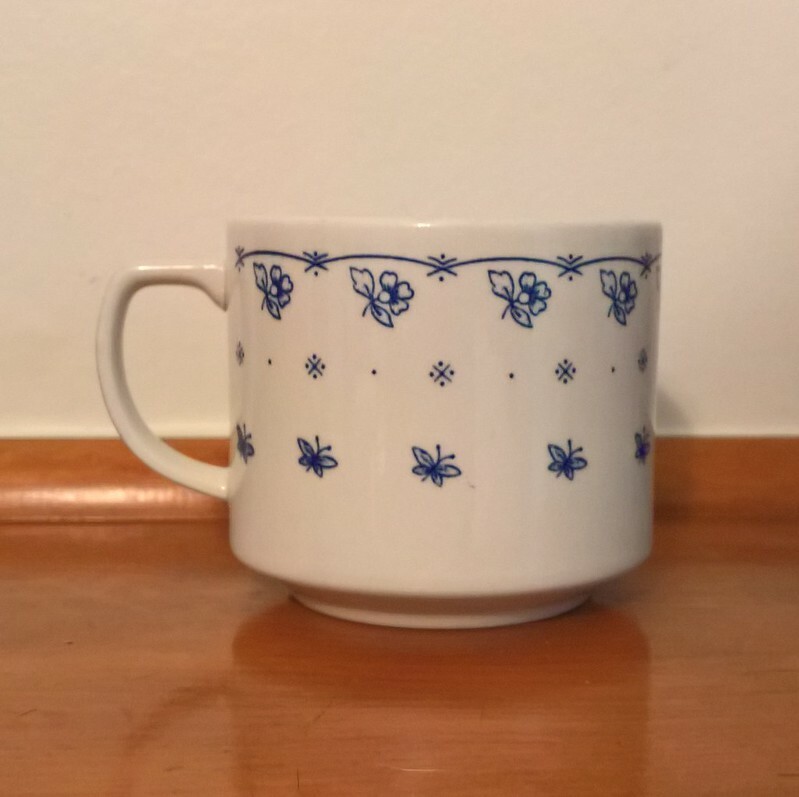 I've recently acquired a Trieste pattern cup which complements the saucer and jug images already here and thought I'd add it to the forum. 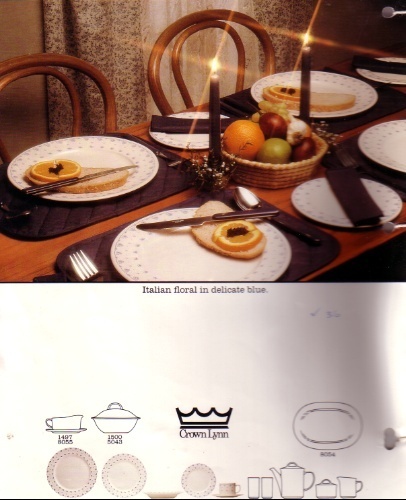 The pattern when seen close up looked familiar and I finally triggered where from - the photos of the wares that Crown Lynn imported from Spain in 1988! Pontesa Blue and Pontesa Pink (both illustrated here) both feature the exact same butterflies, flowers and detailing, but with a slightly more prominent outlining. Which came first I wonder? Hope you guys are ok. Sounds a bit grim. Whangarei is not so bad. I'll second that - though i'll admit I do miss decent thunder storms (Palmerston North just doesn't get them like you do closer to the coast!). Also thanks for the catalogue date - was secretly hoping that Trieste would the an original pattern but now can't help but wonder if it is a reproduction of the imported patterns instead (though wouldn't be a first for CL!). Doesn't quite work on this shape but an interesting what-if.